When I'm angry at this life and want to just quit. Where would I go? To Whom else would I turn? You have proven faithful over and over. Your love is sure and your grace is wide. I can't run from you anymore. You are there waiting for me. Patient. Smiling. Arms outreached in love. I weep, because I know. I know I am yours and nothing can come between us. We've walked through too many trials together. I stand in awe. You wipe the tears and look at me knowingly and for the first time in a long time, I know... I am known, I am loved. Nowhere, but to your arms. In John 6:66-68, we find Jesus preaching a hard message to the people about Him being the living bread and people need to eat his flesh and drink His blood for life (metaphorically). Disgusted many turn away and leave. Aware that his own disciples were grumbling too, He turns to them and asks,"You do not want to leave too, do you?" "Where else would we go?" 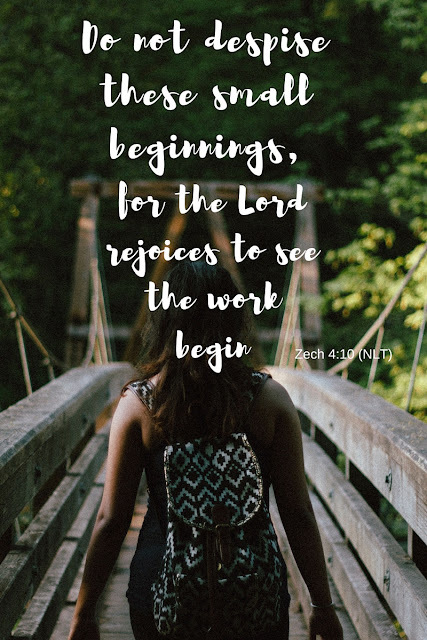 They were beginning to become very aware that life with Jesus was not going to be easy. But they knew deep down, he was the way, the truth, and life. So, where will you go when life gets hard and confusing? There is really only one good answer. Listen to the words of this song by Christy Nockels and the Passion band. There's a new driver in my home. I'm old. Let's Pray. As of today, I am old. How can I be old enough to have a FIFTEEN year old?! 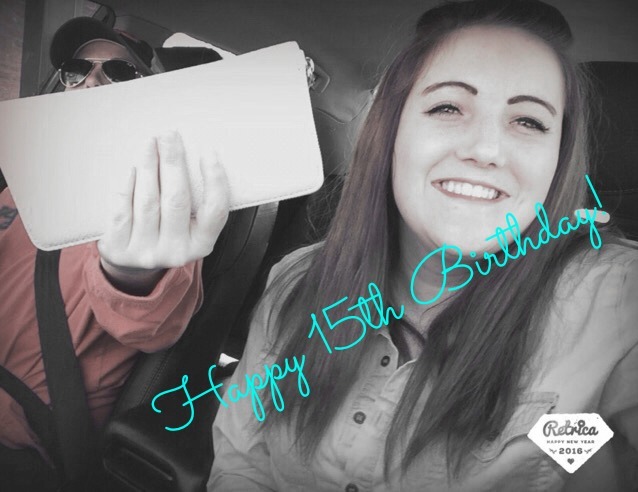 My oldest turns 15 today, and will be attempting to obtain her driving permit. This is not only going to give me even more gray hairs than I already have, but I may just have to start taking anti-anxiety meds. At least I've convinced her it's actually safer to drive with ONE foot instead of TWO. When your babies are little you don't think about how fast time is going to fly, it just does. Then next thing you know, they are walking, talking, have opinions and attitudes and teaching you things about life instead of the other way around. I'm so proud of my fast-talking, moody, full-of-life teenage girl. She makes life interesting and never dull. She could also argue herself out of a paper bag and make Jesus himself roll his eyes in aggravation. Trey and I still laugh at our favorite memory from when she was in Kindergarten. It was about this time of year because they were doing black-history. She came home so excited and insisted that Martin Luther King Jr. was the very FIRST president. A quick online search to show her a picture of George Washington couldn't sway her, she knew what she knew and that was that. We gave up. And informed her Kindergarten teacher, whom we were friends with, about Keeli's mixup. She got a nice belly laugh and promised to correct her. Did I tell you she is stubborn? She could make more than a decent living as a lawyer. But, if she loves you, she loves you for life, and is as loyal as she is stubborn. Trey and I are better people for having the opportunity to be her parents. And one day, when we breathe the big sigh of relief at her high school graduation, 'cause we SURVIVED! We will know, life has been sweeter because of her. She takes her permit test today and if all goes well (meaning she memorizes everything and not just the signs. You see, a friend told Keeli not to worry about studying the entire driving book, just the signs and she'd do fine. I wish I could insert eye rolls here. ), she will be driving Miss Daisy, me, around for the rest of my life. Or until she graduates and moves far away, which she threatens to do on a weekly basis, but I know she is just kidding. She loves me too much to ever move TOO far away ;). She's always snapping selfies in the car and trying to get VERY unflattering shots of me in the process. Ha! Big wallet for the save. I'm hoping she gets the driving thing down, 'cause you know, when she turns 16 I'm going to have her running errands for me like a BOSS. It's payback for all the years of being chauffeur. It is a little sad thinking about my baby girl being old enough to drive, but I doubt I'll dwell too long. 'CAUSE I GOT AN ERRAND GIRL NOW!! Suckers! Other than getting her permit the day of her birthday, she's been scheming all week how she's going to get out of going to school all day. I voted for half-day. Trey doesn't care. We'll see who wins. Kids think it's sacrilegious to go to school these days on their birthdays. I get it, don't care, but I get it. We are going to party like rock stars tonight to celebrate Keke turning 15, at least until 9 pm, then we'll go to bed, remember, I'm old. Who is the original Jesus? 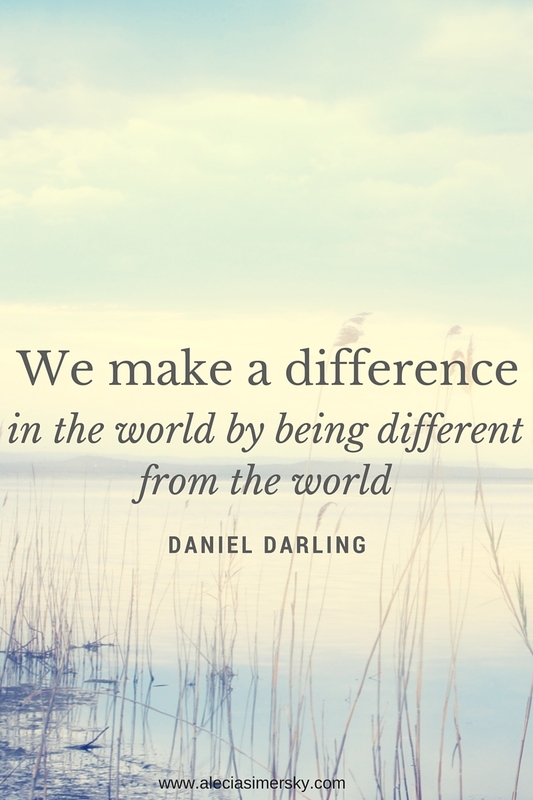 A new book by Daniel Darling dares to answer this question, and in the process leaves the reader with rich morsels to chew on long after the book is complete. Jesus isn't a hippy who walked around singing que sera sera. He didn't tell people, "Go ahead, do what feels good and makes you happy, cause I came to set you free from all those old rules." The God who walked among us, set us free from the law as our way to please God, yes, but didn't abolish the law. He only added to it. Love, grace and mercy. He challenged us to not only walk obediently but do it with great love. He didn't wear a man bun and skinny jeans, nor did he walk around scratching his crotch (at least I hope not! ), making caveman noises. 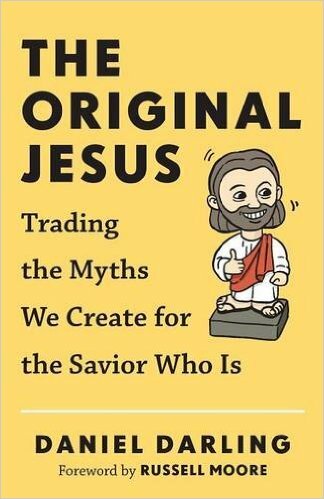 I recently had the opportunity to read and review, "The Original Jesus: Trading The Myths We Create for the Savior Who Is," by Daniel Darling. And I'm left thinking...Isn't that the way of our culture today? We have recreated a mythical Jesus who loves us flaws and all, yes, but doesn't seem to mind when we sin, because he get's it, man! He knows how hard life is and we need our crutches. Plus, isn't He the one who said we are to love above all else? 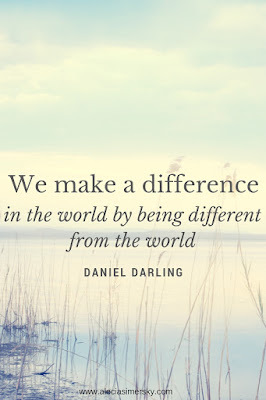 "We make the most difference in the world by being the most different from the world. Sadly, the church has often lost influence because people see no discernable distinction between God's people and the rest of the society." Take a look at some of the chapter titles: Guru Jesus, Red-Letter Jesus, Braveheart Jesus, American Jesus, Left-Wing Jesus, Dr. Phil Jesus, Prosperity Jesus, Post-Church Jesus, BFF Jesus, and Legalist Jesus. The author seems to cover every aspect of the different forms of Jesus modern society has transformed Him into. I think he also does a good job of analyzing how we as a church twist our view of Jesus to fit what we want, along with society. He makes points as to how the church needs to do a better job of teaching our men what a biblical man looks like (amen, anyone? ), how we as christians can follow Jesus' example of helping the poor among us without enabling them (this was a very interesting chapter (Left-wing Jesus), especially with the upcoming elections), and getting over ourselves as Christians. As you know, we are seeing a shift in Christianity here in America. We have had a dynasty of Christendom for centuries. Longer than what has ever been seen, perhaps, in history. 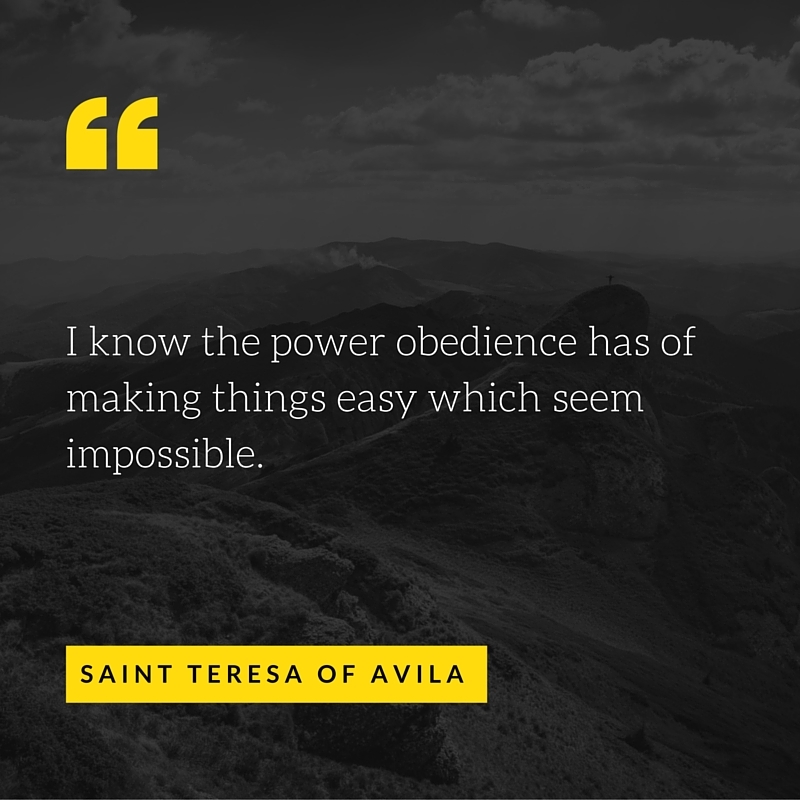 "Sure, like God's people in any era, we've had to deal with the sort of trials that befall humanity, some crushing and some light. But in terms of where Christianity fits into the larger cultural narrative, we've had it pretty good. We've lived in a bubble of acceptance, even affirmation, rarely seen in two thousand years of church history." I enjoyed reading The Original Jesus and the different characterizations of Jesus by Mr. Darling. I look forward to more of his books in the future. "The world needs from the church is not less engagement but deeper, more redemptive engagement that abandons a sort of zero-sum, win-at-all-costs, cutthroat type of politics and instead offers gospel-shaped solutions to the most vexing problems facing our communities." *I was given a complimentary copy of this book in exchange for my honest review. I joined my church for 21-Days of prayer and fasting. I didn't fast in the common sense of the word with food; but I did fast from blogging and all social media. What did I learn? It was so much harder than I ever thought it would be. I felt pretty confident this was going to be a fast I could handle with no problems. I didn't feel I was online too much and that I had a firm handle on my screen scrolling. I floundered the first couple of days. I went into withdrawal (ridiculous, I know). I had gotten so accustomed to "checking in" online that suddenly I felt I was missing out on everything! I felt in the dark, out of the loop, and bored. Ha! When I find myself in downtime during the day I mindlessly scroll through my feeds. In the beginning I reasoned I needed to check in at least once a day, I needed to make sure the GSD website's social media was being handled and give updates to my writer's in the Facebook page. I realized, I was addicted to "checking in." I finally put down my phone and went all in. God handled the details of the social media for GSD, and I knew if there were any important updates, that couldn't wait, I could ask someone on my management team to do it for me. I had a couple of books that I needed to finish for book reviews and a book launch. I learned I had grown too attached to being connected to the world and not God. Before these twenty-one days my prayer times had become stagnant and routine. But, guess what? I enjoy reading now without giving into the urge to grab my phone. I've been writing a ton, and have started a new project that I hope to share with you soon. Social media can be a blessing if we do not let it consume our time. When it becomes the first thing we look at when our eyes flutter open in the morning and the last thing we see at night- it's a burden, not a blessing. My fast opened my eyes. I plan to be more aware and disciplined, and be more eyes up instead of down. 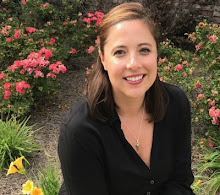 I want to stay in the loop, and I love connecting with readers on social media, but I want it to be a blessing again, not a burden.